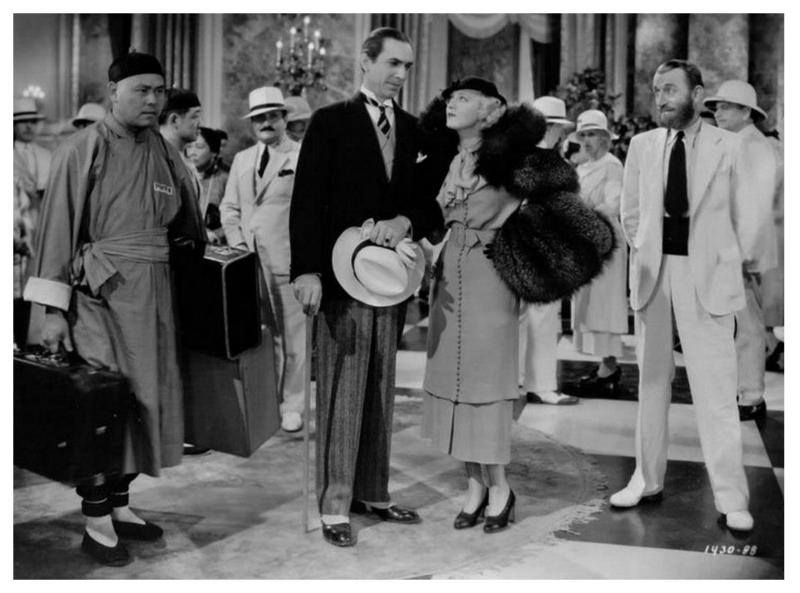 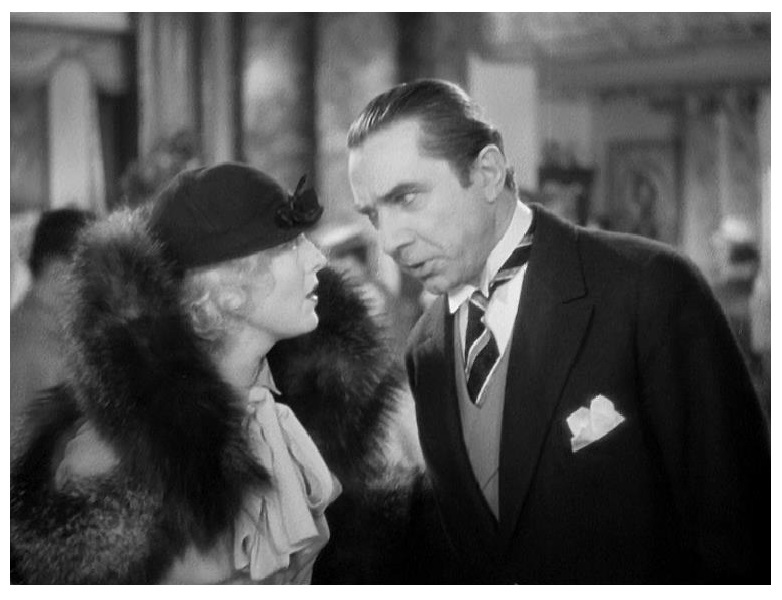 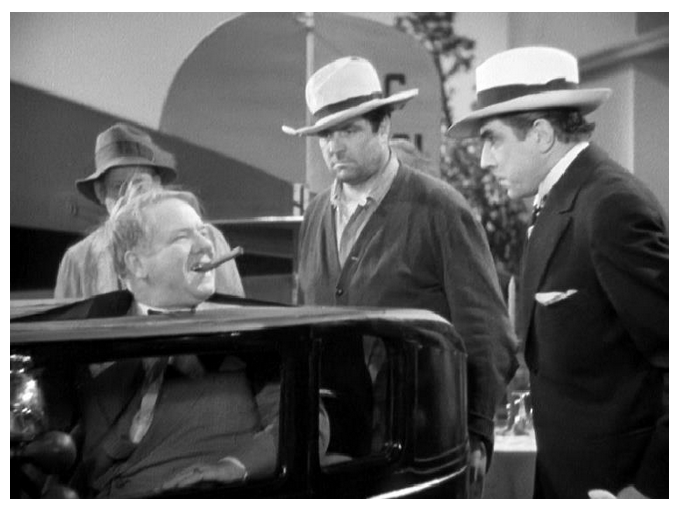 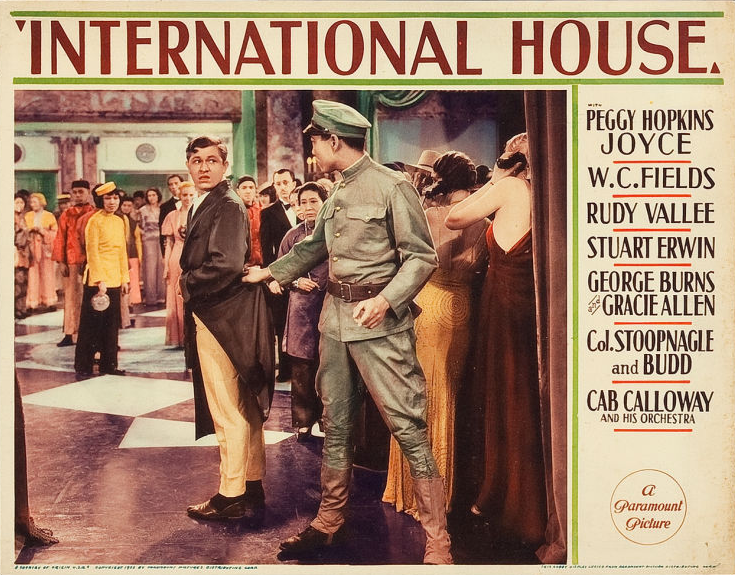 Bela Lugosi plays a jealous ex-husband in this all-star comedy set in the International House Hotel in Wu Hu, China, where a Chinese inventor is trying to sell his television-like invention, the radioscope. 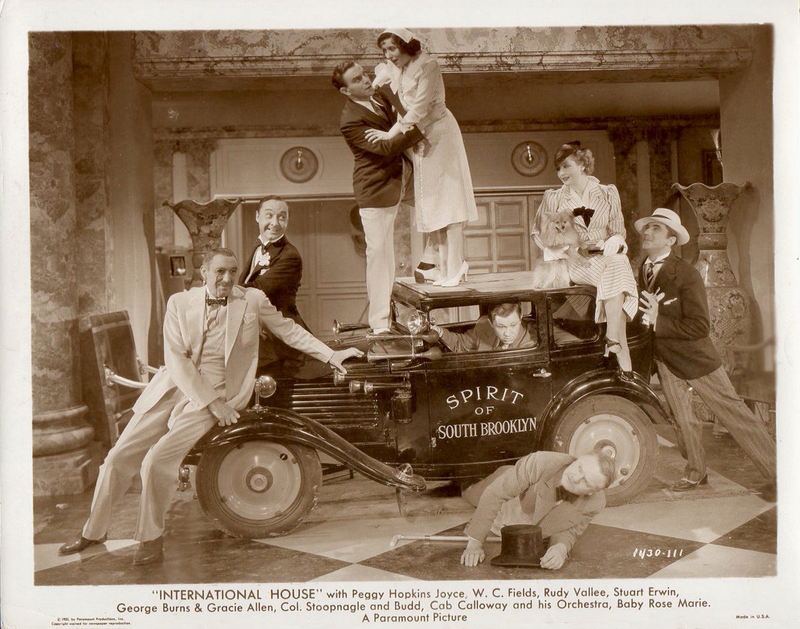 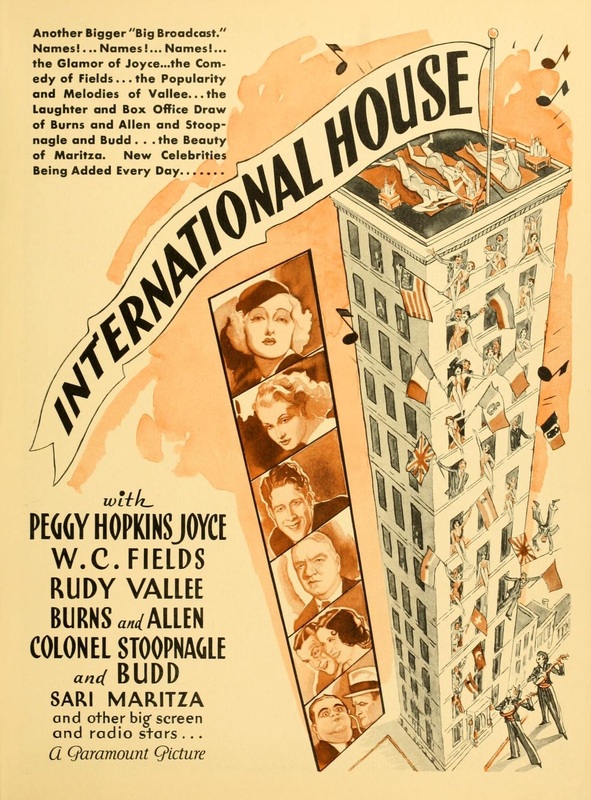 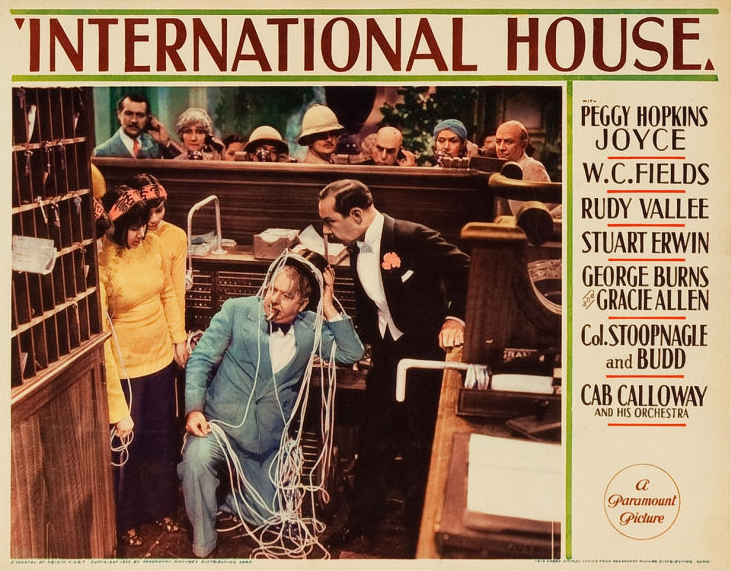 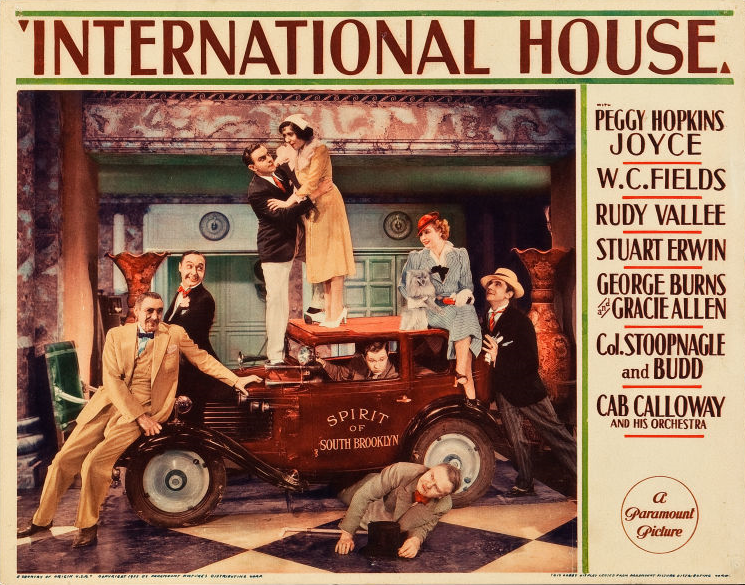 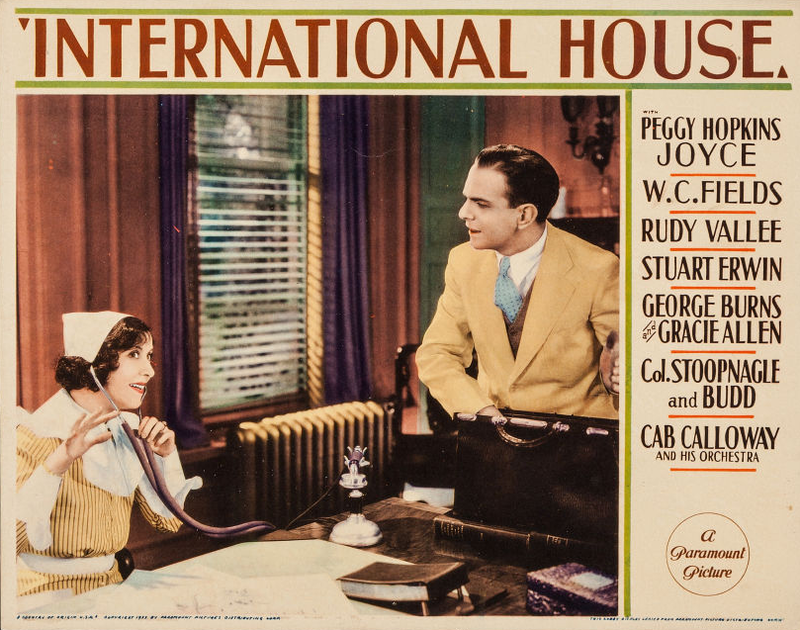 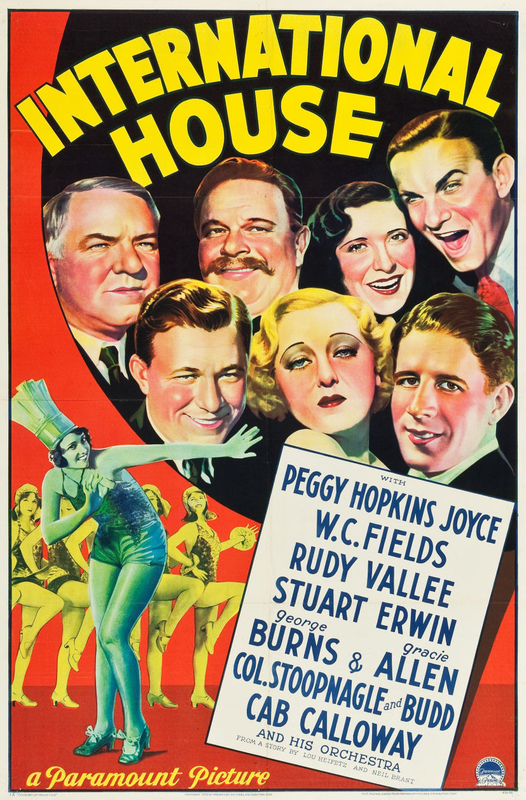 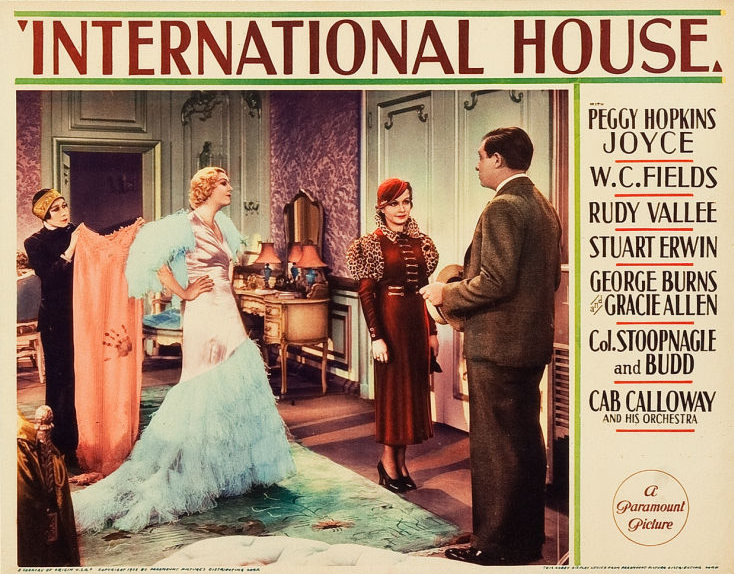 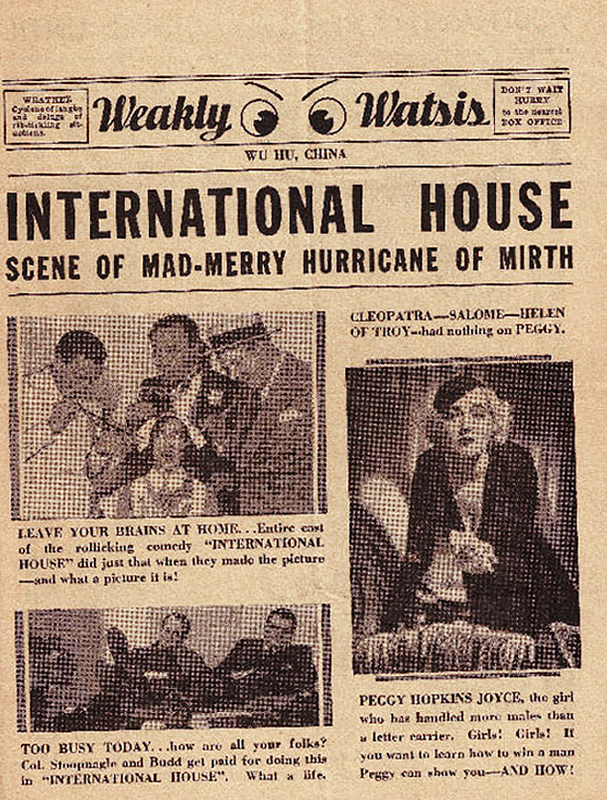 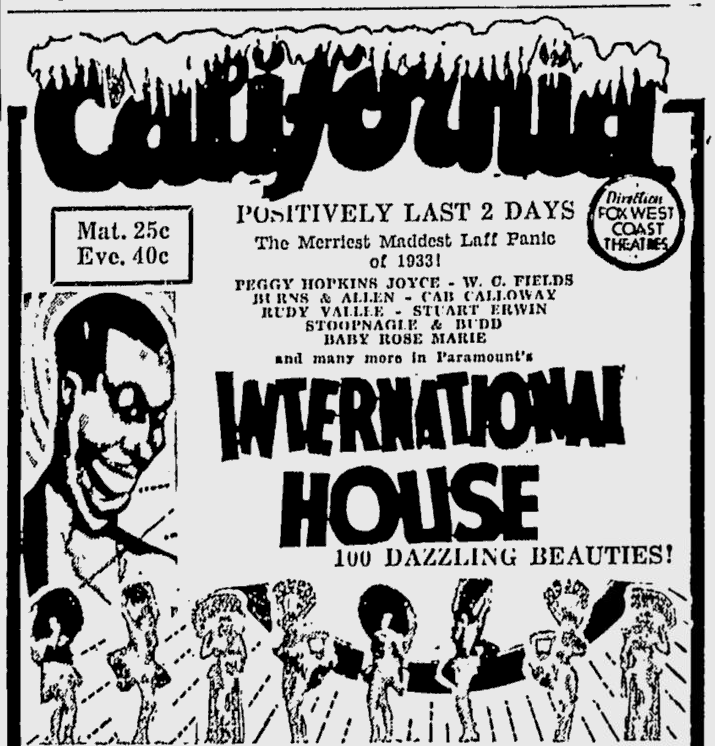 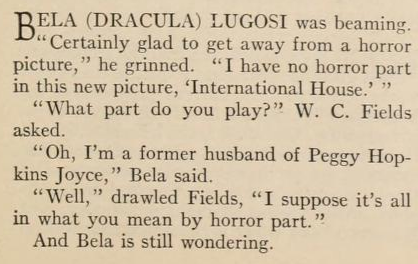 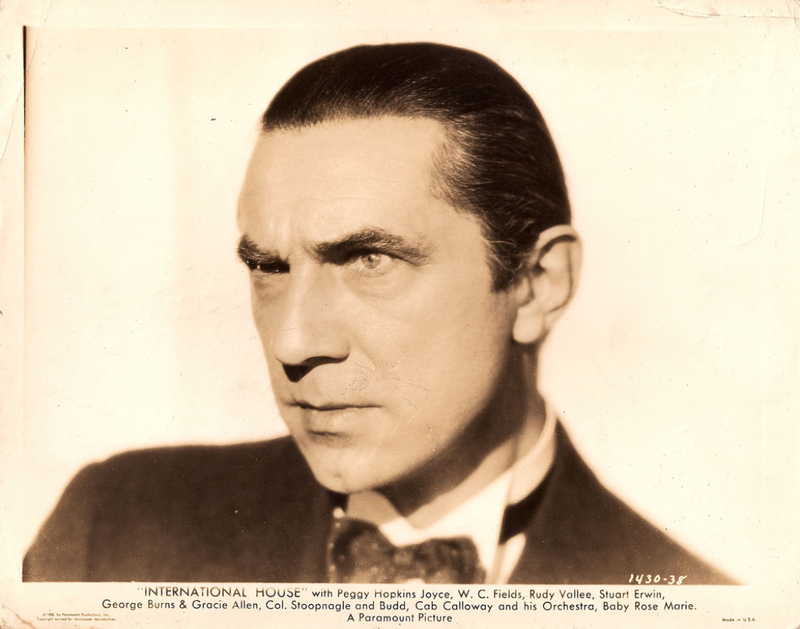 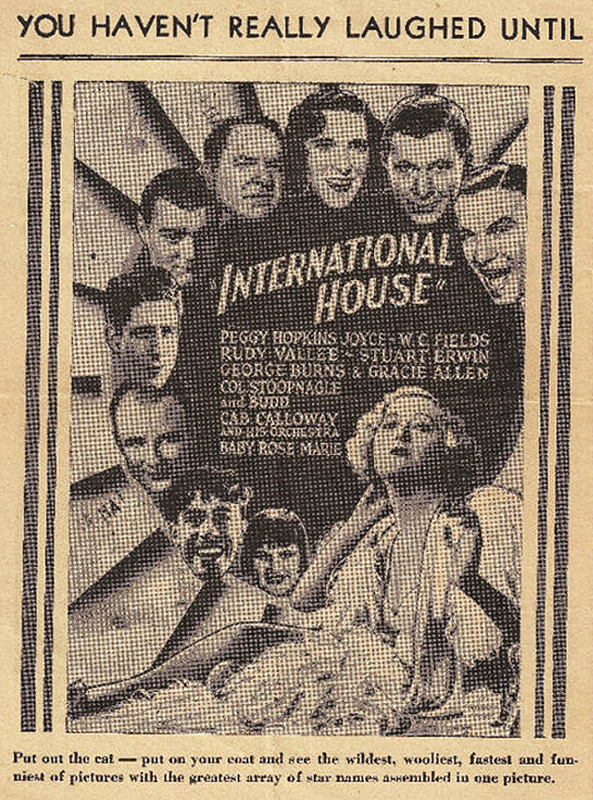 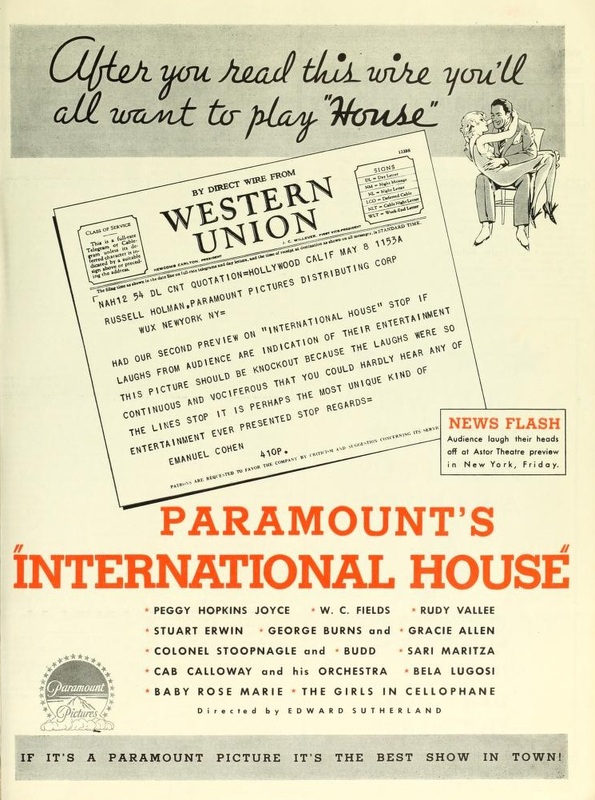 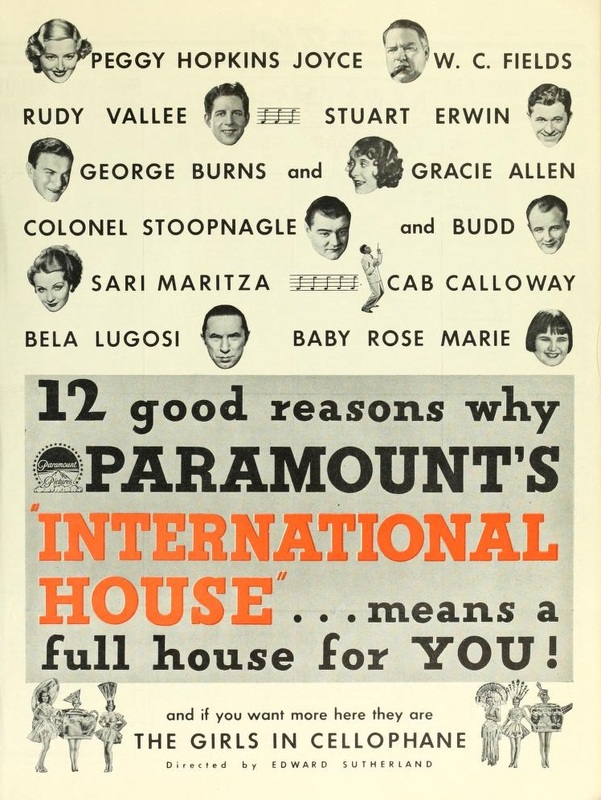 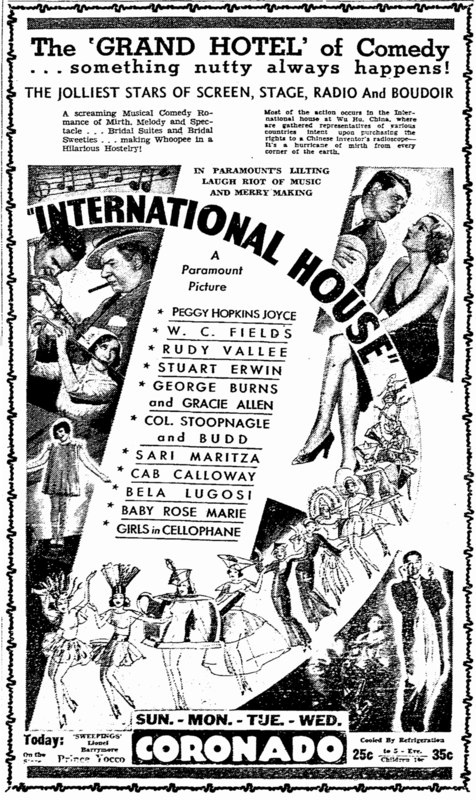 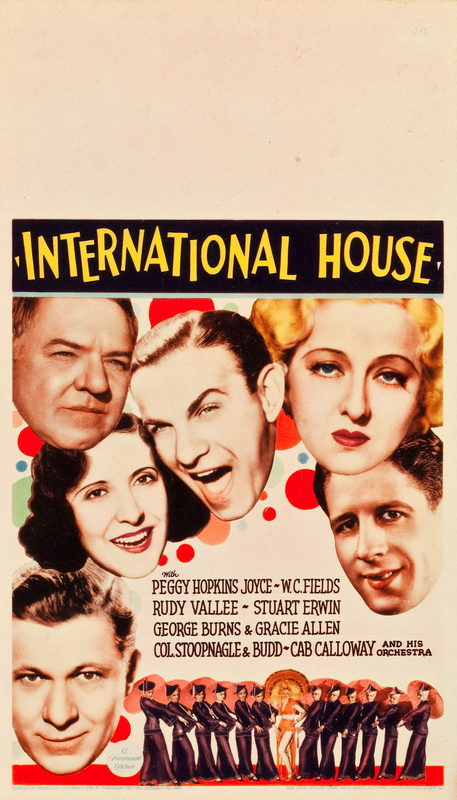 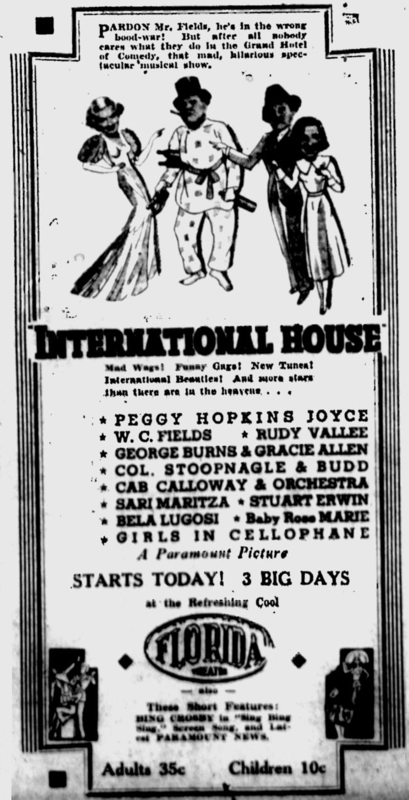 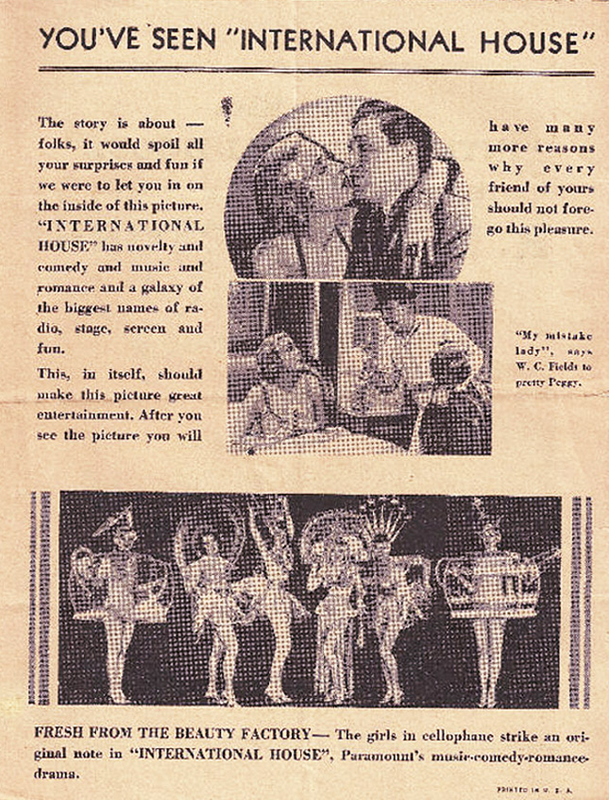 Lugosi, who had filed for bankruptcy in October, 1932, was filming International House at Paramount during the day and Night of Terror at Columbia through the night as he tried to work his way out of debt. 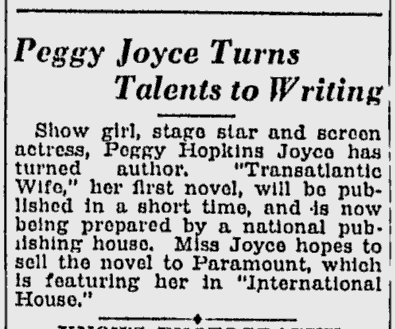 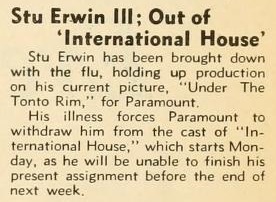 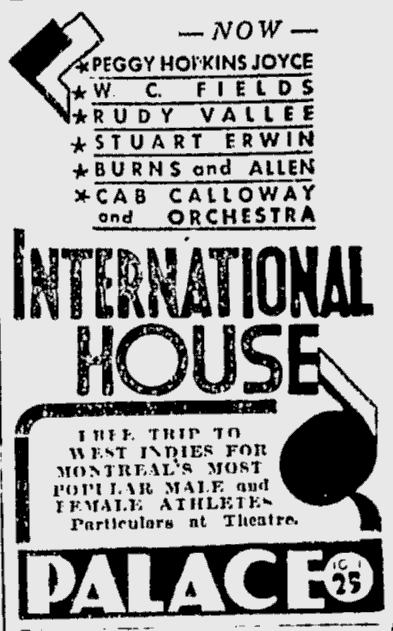 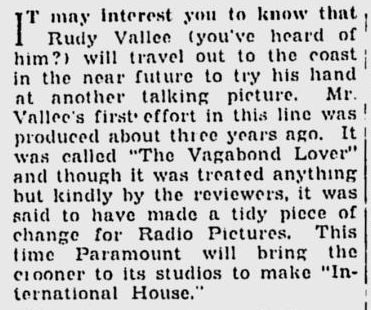 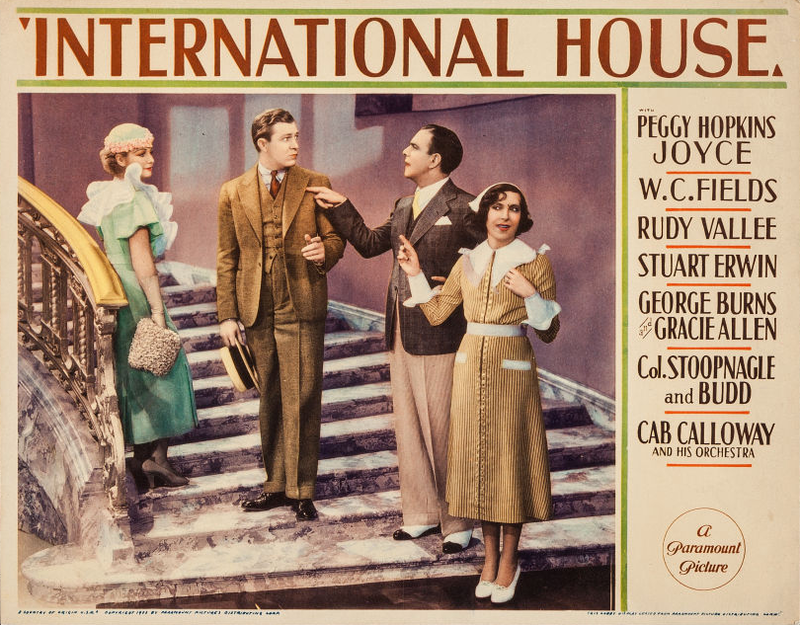 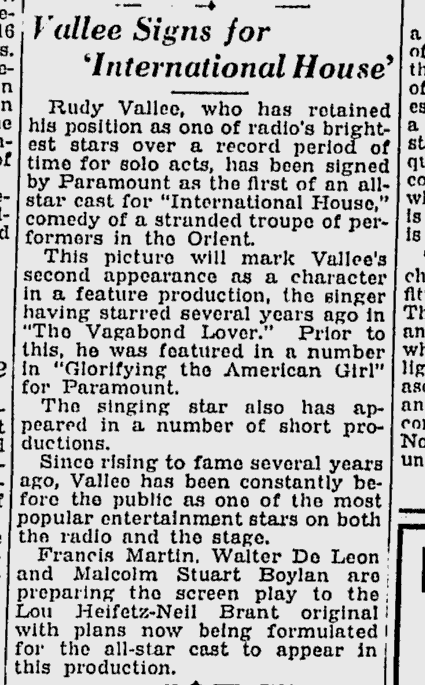 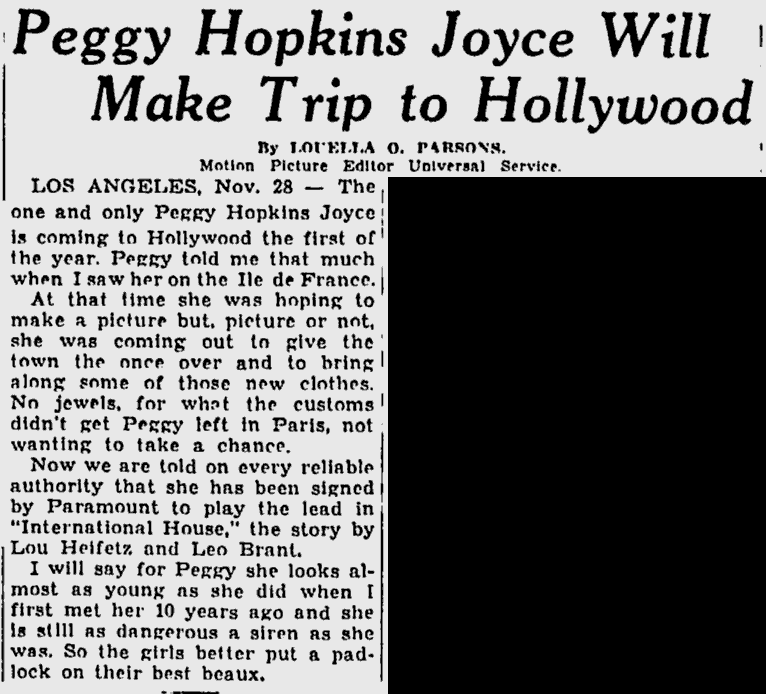 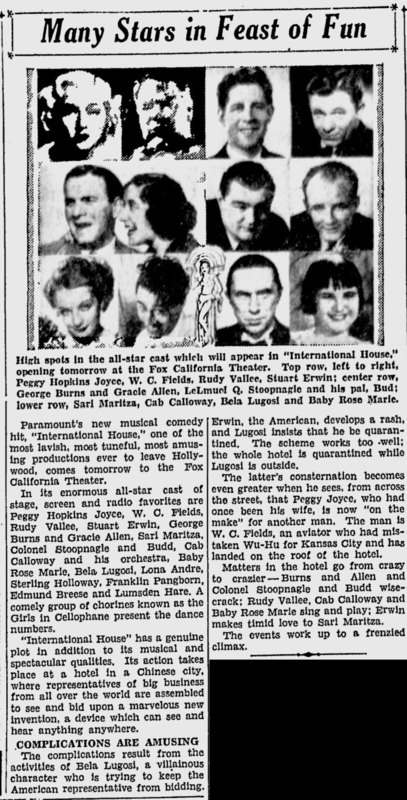 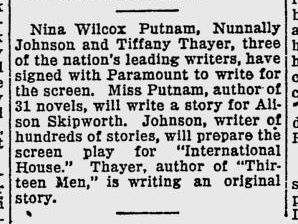 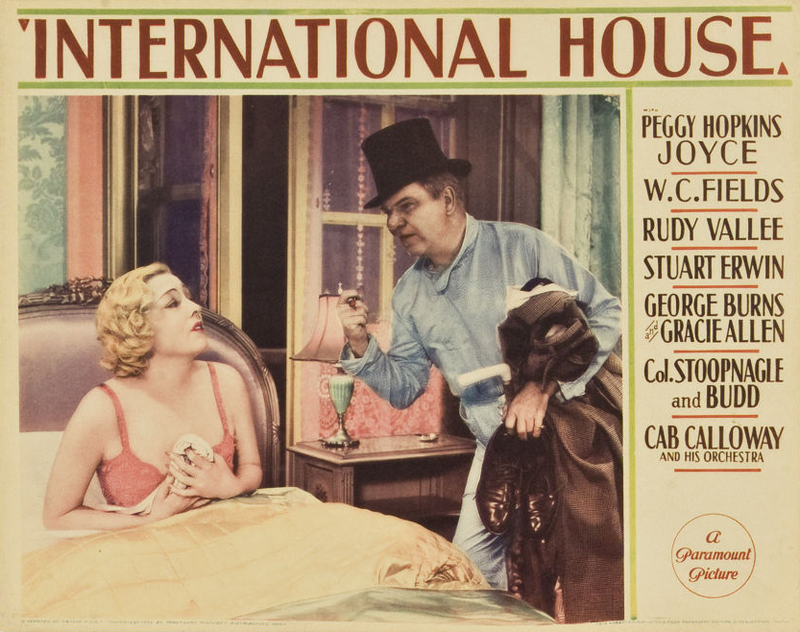 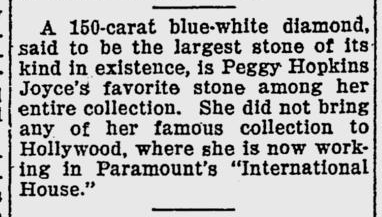 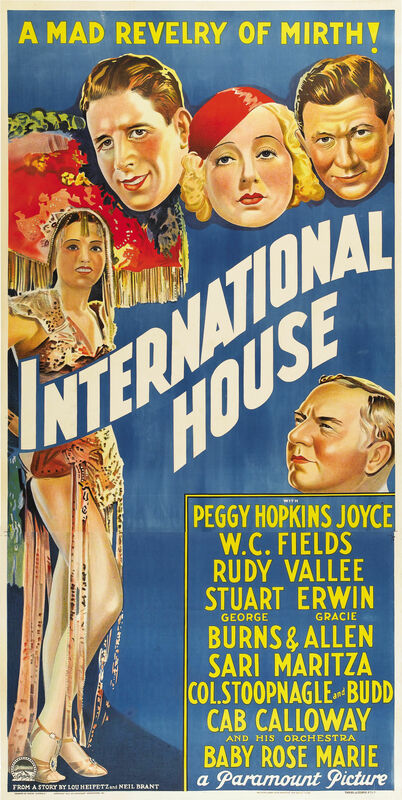 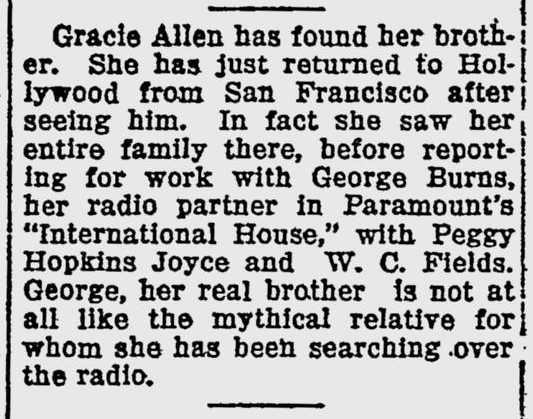 Bela Lugosi was signed yesterday by Paramount for the third leading role in “International House,” which Eddie Sutherland is directing. 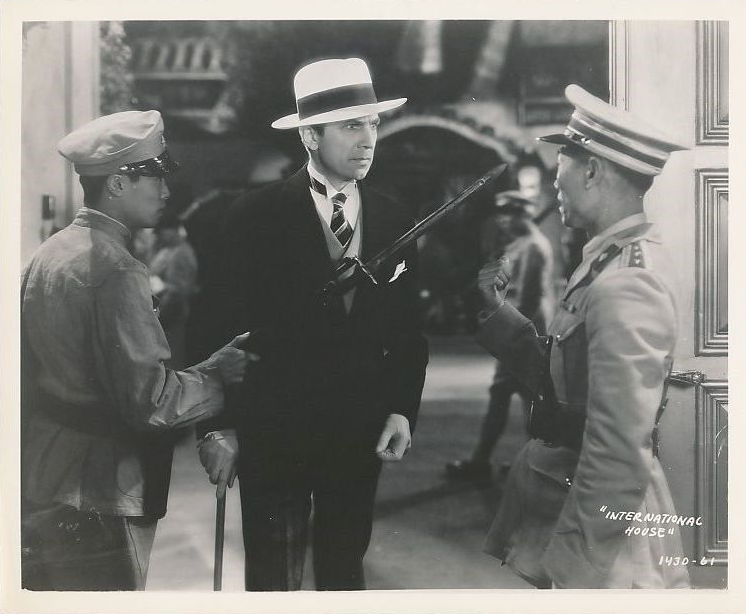 The Sugarman-Delaney office negotiated for the player.